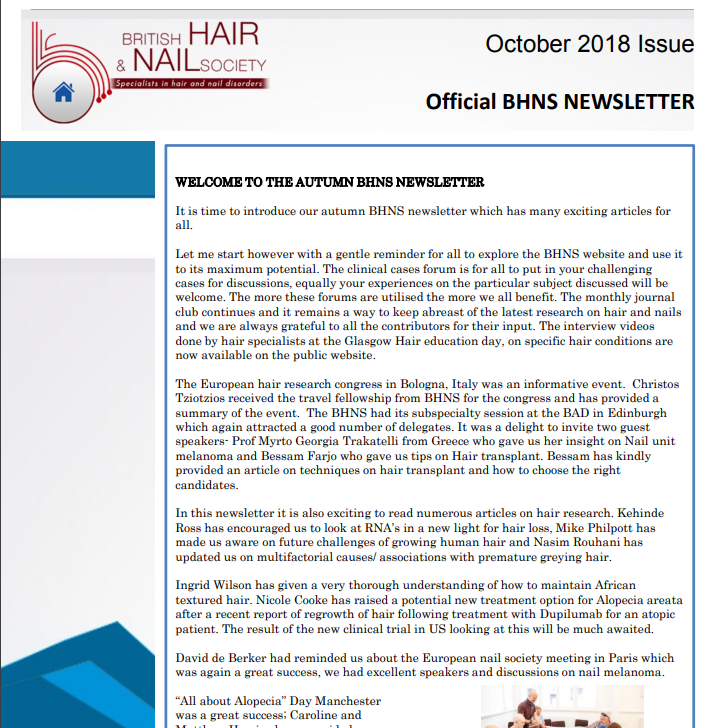 Welcome to the British Hair and Nail Society website. The Society was set up in 2011 to bring together dermatologists, specialists and scientists interested in hair loss and nail disorders because I strongly believe that we will achieve far more if we all work together for the good of our patients. Jargon free and concise information leaflet to help you understand more about your condition. Our map lists all BHNS affiliated hair and nail specialists to help you find the right care in the right place.